The SURFAID Cup was held on Friday the 27th of May at Bondi Beach, the LGS team had to raise $5000 to compete and are very proud to say they actually raised a total of $7272! 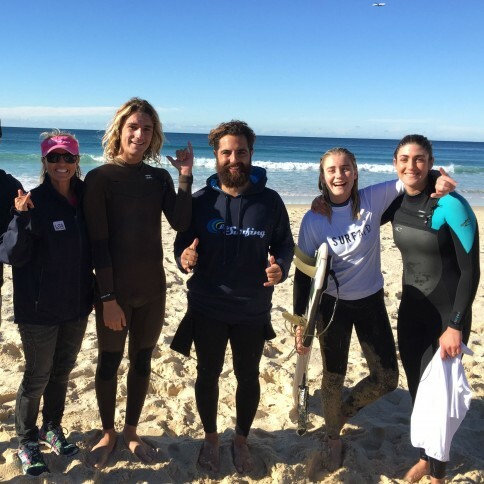 Our team consisted of four of our frothing surf instructors; Ollie Sherb, Paolo Palazzolo, Lucy Kavanagh, Sofie Butler and pro surfer Jamie Krups! Check out the video to see all the action from the day, the Lets Go Surfing team are also very happy to report that they made the final in the surf comp!